- how I'm going to keep it running. What's next? Does this sound strange? I've heard some people say they need a DSLR camera, they need to have a truckload of products, a beautiful room (I've been in that position before), they need to know the owners of makeup brands so they can get products and some funny stuff like that. I mean, you'll get there eventually but those are not the things you need to START. What are people going to call your blog? Previously, my blog was Barbsies Musings but it didn't fit when I rebranded so I changed it to Barbara & 1923. If my blog was a vlog mainly, then it probably would have fit. Although the name has stuck and some people still call me that, it doesn't really matter because in the true sense of it, my brand has evolved to something bigger than that. You need to brainstorm a name, not just a name but the right name. A name that is memorable and fits you and the site you are looking to have yours become. Build a sustainable name otherwise your site will grow and 5 years later you'll be looking for another name or be too ashamed of the name you have. You've gotten the name of your site and chosen one of the free platforms you want to work with (we'll talk about the different blogging platforms in the next video) and people need to type something.blogspot.com or something.wordpress.com or .tumblr.com or whichever one you end up with, to get to your site. Uhm, that doesn't look nice now does it? Apart from the fact that you aren't free to do whatever you want on the platform. Just imagine if I had to write - barbara1923.blogspot.com on my card or tell someone to visit my site *urgh*. But I just say barbara1923.com. It's classy, unique, straight forward and more than anything else tells the other party that I mean business and they'll take me seriously. So you need a custom domain. You might be thinking that this is overkill but a year down the line or even a couple of months down the line and you'll be grateful you did this now instead of later. This is a personal favourite of mine actually. Being in the branding/marketing industry, I've come to appreciate this a lot. Having brand colours defines your brand aesthetic. For Barbara & 1923, the brand colours are black, grey, white and vintage gold which is a dark gold kind of colour. This helps to guide my branding in every way - business cards, social profiles, blog design and even sometimes permeates the brand offline too. Starting with blogspot, I initially used one of the blogger templates as it is and had a boatload of gadgets on the blog. Some months later, I re-arranged it making it a little less cluttered. Well, I abandoned it for a year and coming back I still used a blogger template, learnt a little about coding and customised the template a little, no a lot. It became a custom design I was super proud of (and I even got paid by someone to customise their blog template for them too). 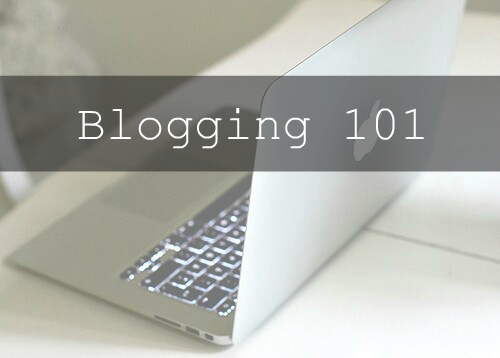 The key is to do something that fits the aesthetic of the blog you want to have. Should it be a simple design, colourful, fresh, whimsical? A lot of Nigerian beauty blogs are going for the classic white background, minimalist theme but why? Does yours have to look like that? Nowadays, I actually visit each Nigerian beauty blog and can immediately guess how many of them have the same design, lol. The key though, is to be unique. I've changed my blog design in recent times but because I've used the same colours and stayed true to my branding for so long, it is so identical to the custom blogger template I had for 3 years that it took a while for people to notice that it had changed. That's the power of having a great tie between all the elements of your brand. So those are the 6 things you actually need to start your own beauty blog. It's a step by step process so don't rush it. Do you have more questions about the different aspects of this topic? Let me know in the comments. If I didn't say it before I'm saying it now that you are free to send me a mail too if you have a more personal request - me@barbara1923.com. I'll be looking forward to reading from you. In the meantime, don't forget to watch the video for this lesson and share this post with your friends.